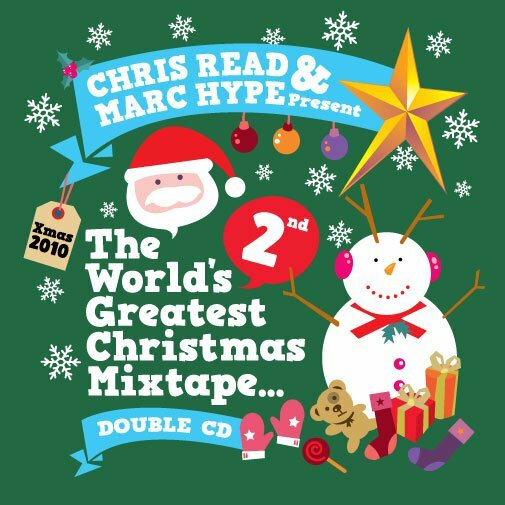 This time last year former ITF champion and MPM Records artist Marc Hype and I got together to compile a mixtape of funky and unusual Christmas records that we modestly called the “World’s Greatest Christmas Mixtape”. For what started out as a bit of fun, the response was pretty incredible with thousands of downloads in just a week or so. We joked at the time that we had enough records left over to have done it twice so, with the Christmas season coming round again, we figured we’d go for it a second time. The result is what we’re even less seriously calling the “World’s Second Greatest Christmas Mixtape”. As with volume 1, there’s a mix of funk, soul, 80s hip hop, reggae, jazz and much more, all with that Christmas theme. Marc and I have done one half of the mix each which you’ll find on our respective Mixcloud pages. We hope you enjoy. Spread the good cheer and MERRY CHRISTMAS!